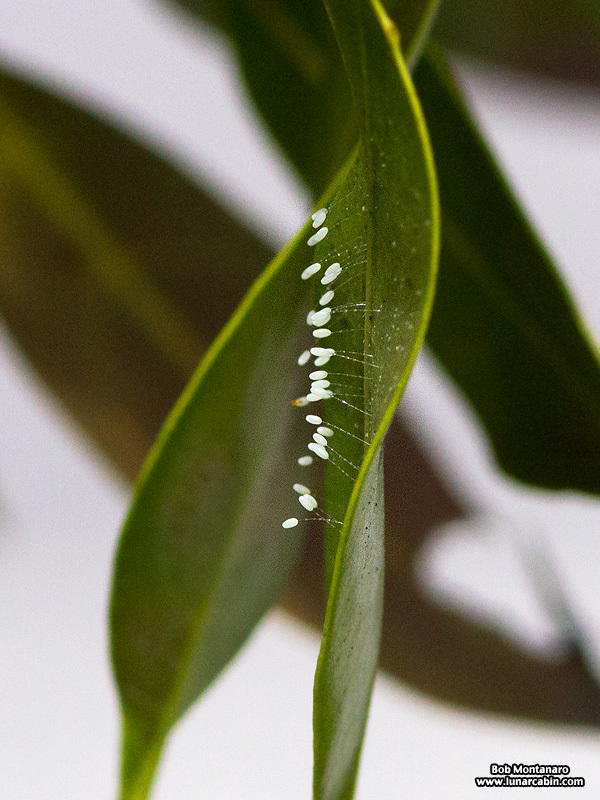 A cluster of eggs at the ends of stalks are the hallmark of a lacewing insect. Once hatched out, the larvae are intense predators of other insects, the adults not so much. 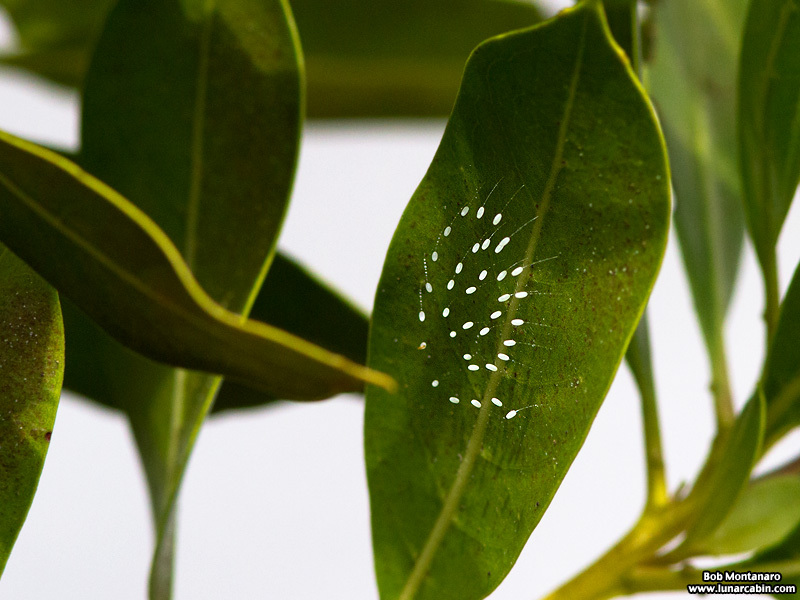 The eggs are on a leaf at the Oslo Riverfront Conservation Area.